The McDonalds All-American game website has released a list of over 800 men and women basketball nominees for the men and women's All American games. Here's a statement from the website on the use of the list to arrive at the final roster for both games. The list of notable seniors will be used by the Games’ Selection Committee to identify the top 24 boys and 24 girls to play in the annual event and become a part of a historic basketball legacy. The teams will take the court on Wednesday, March 27 at the State Farm Arena in Atlanta, marking the fourth time the city will host the Games (1983, 1992 and 2018). On the list are Clemson men’s basketball 2019 signees Al-Amir Dawes, The Patrick School (NJ), Chase Hunter, Westlake High (GA) and Alex Hemenway, Castle High (IN). Dawes, a 6-foot-1, 185-pound guard, is one of eight nominees from the state of New Jersey. Last week, he had 27 points, seven rebounds, two assists, four steals and made 5-of-6 three-pointers to help St. Patrick get a 64-59 win over Camden. Dawes averages 16 points per game on the season. Hemenway is the all-time leading scorer for Castle High in Indiana. Last week, he claimed the title when he scored 28 points against Bosse to get to 1,450 career points and surpass former Xavier University guard Dedrick Finn to sit atop the list. On Tuesday night, Hemenway continued to build on his lead by scoring 40 points in an 84-56 win over Henderson County. He was 13 points shy of his single-game school record of 53 points. The 6-foot-4 marksman made seven three-pointers in the game and averages 26.5 points on the season. 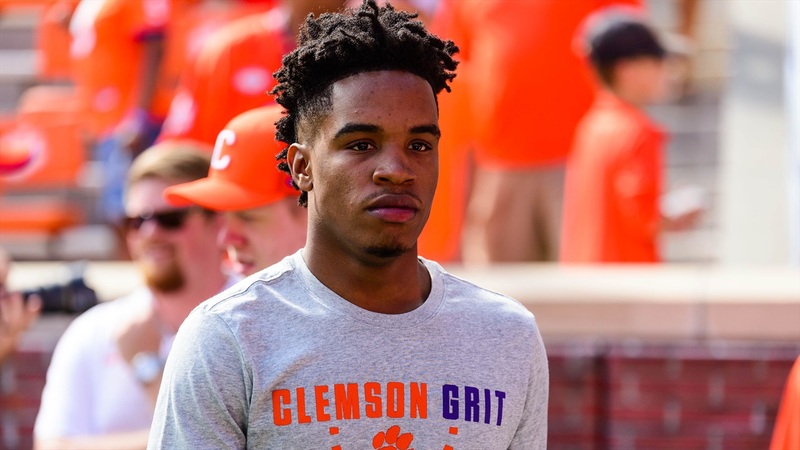 Hunter, the son of Brandi Hunter-Lewis, a former Georgia basketball player, and the late Brice Hunter, a former Georgia receiver, joins 10 other Peach state players on the list. The 6-foot-3 guard was recently named WSBTV-2 Sports Zone Athlete of the Week and scored a season-high 26 points against Newnan. Dawes, Hemenway, and Hunter will add shooting and ball handling to a Clemson roster currently struggling in each area. With point guard Shelton Mitchell and shooting guard Marcquise Reed moving on after this season, the trio should see plenty of action for head coach Brad Brownell in 2019-20.